Metro Last Light takes place in Moscow Russia during the year 2035. However, in this game Russia is not as we know it today, it is in ruin and filled with monsters, nuclear fallout and a poverty-stricken populace. This is not the first Metro game though, it began with Metro 2033 some years after the fallout. This is when Artyom, the main character in the game, is traveling and fighting all throughout the Moscow Metro system and ground level for his survival and the survival of his people. Artyom is a 20 something year old man who was born in the Metro and is propelled through his journey by the rumor that his home station may be attacked by the Dark Ones. In this case the Dark Ones are mutated humanoids who have made Moscow their home after the nuclear incident. Along with the Dark Ones there are several variations of mutant creatures that roam the landscape of Metro. Artyom’s journey begins in his home station where he meets a hybrid soldier named Hunter who is also a member of the Rangers. Hunter tells Artyom of the Dark Ones plan for his Metro station and tells him that in order to save his station he must travel to Polis station. Polis station should be able to offer man power and fire power to help his home station defend against the attack. So Artyom decides to take on this daunting task and travel the Metro system to Polis station. Along his way he meets fellow Rangers and many circumstances that test his limits and his faith in his mission. Through out the game Artyom has hallucinations, which are brought on by the Dark Ones and are left to be interpreted by the player. Artyom makes his way to Polis, gets help for his station and then proceeds on to an abandoned military installation that houses missiles that can be launched in an attempt to destroy the Dark Ones. Artyom eventually succeeds in his mission and the game closes with Artyom lunching missles. I should mention that the game is a first person shooter that is very immersive and gives the player several options in deciding how they want to tackle the situations the Metro hands to Artyom. 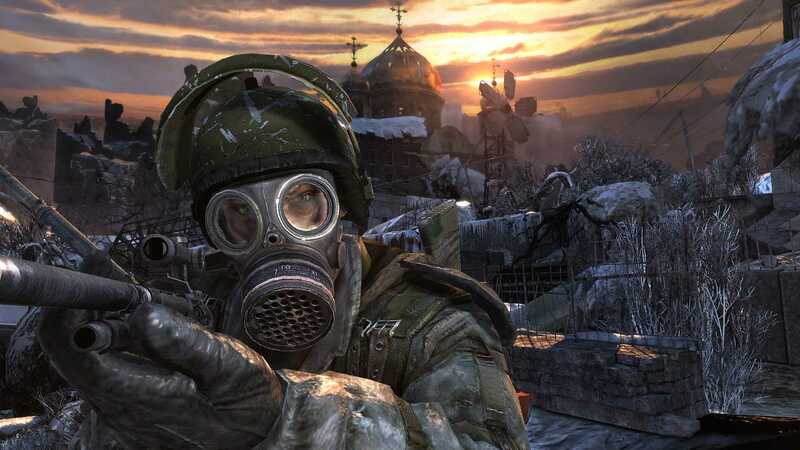 There are many ways Metro Last Light could go based on how Metro 2033 ended. No matter what the game developers decide it is sure to be a great game that will not disappoint fans and new comers of the series. From using a lighter to look at your map to wielding a flame spitting turret to fight off mutant beasts Metro 2033 is really exciting and hopefully Metro Last Light will exceed its predecessor.